Springwood Apartments offers elegant, spacious floor plans ranging from one-bedroom, one-bath to two-bedroom, two-bath layouts. Each floor plan features a covered patio or deck, large closets with mirrored doors, pass-through counters in the kitchen, and plush carpeting. A terrific one-bedroom, one-bath apartment featuring 769 square feet of living space. You’ll love the U-shaped kitchen, large living area, and ample closet space. With 1,021 square feet of living space, this is Springwood’s largest floor plan. It offers two bedrooms, two bathrooms, and a large living space. 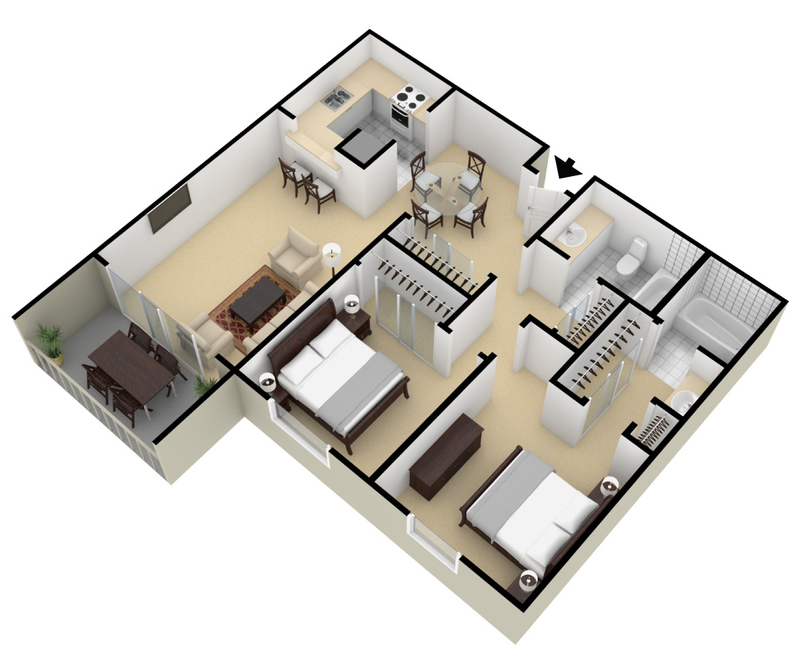 This smart floor plan provides a large bedroom and a den that can be used as an office or second bedroom. 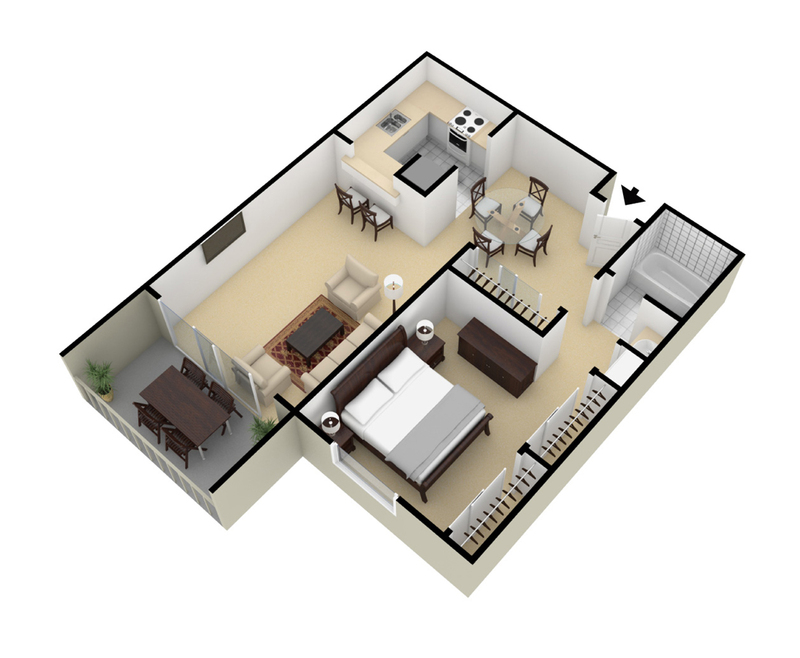 With 910 square feet of living space, this is a roomy layout with plenty of storage. 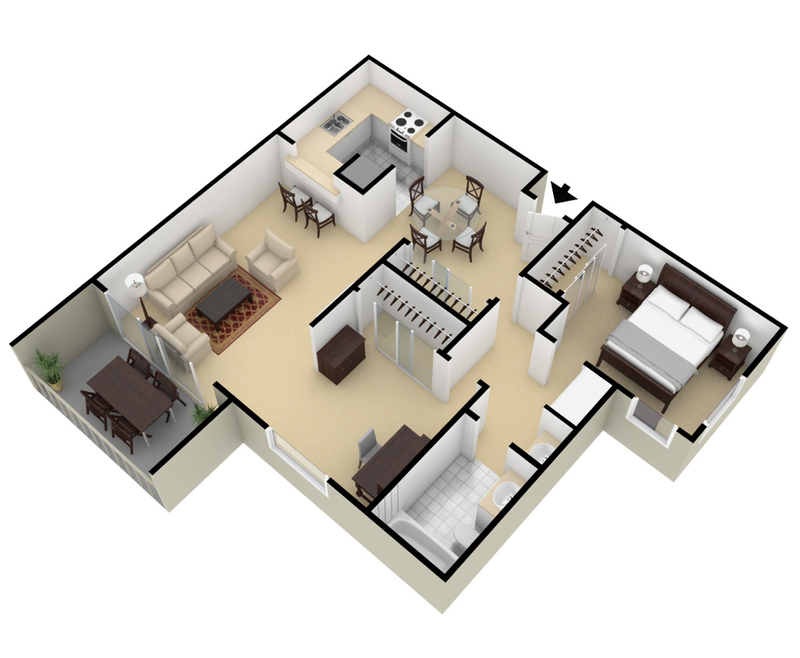 This one-bedroom w/ den, one-bath floor plan.